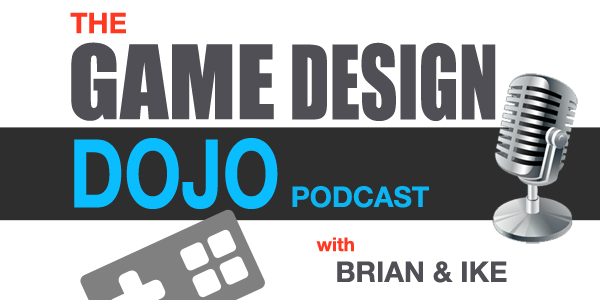 In this episode Brian and Ike discuss camera and cinematography with a focus on the various angles, styles, and uses in game design. How to choose a camera, iterate on it, and reference film cinematography are all covered in this jam packed episode. We got feedback! It’s such a great feeling when we hear back from listeners since we’re flying blind so to speak. Please keep it coming with your feedback so we can make the most out of your listening experience! We have been busy with our own studios, but enjoy taking the time out to make this podcast. Camera and cinematography in video games are similar to that of movies. There’s a lot to consider and sift through to keep the right amount of dramatic feel to your game. Using a 3rd person camera creates a more artistic video game with a cinematic feel as apposed to using just a 1st person camera. You’re able to do more story telling in your game design as well as identify with the main character like in the movies. The player can see just how cool the character looks and is going to feel like that character in a clear connection. This concept brought on more female characters in videogames as well – Tomb Raider example. For your video game you want to create a great experience for the player. A way you can do this is to use many different shots and angles during game play. Diablo example. Also you can relate back to acting and the difference between Movies and Stage Acting and apply it to game developing. The goal is to use the camera strategically. There is so much more with no specific answer, you just have to keep playing and testing your game. Sometimes the answers depend on your environment. Remember every time you touch the camera, it will have an effect on the controls. It is a one to one relationship and when developing, it’s important to spend the same amount of time for both. You can use the camera in combination with the controls to help guide the player. (Rage example. Resident Evil example). Try to tame the camera. Think about movies and the restraint they use. The cameras are mostly still and subtle. Don’t make it about the camera, the player shouldn’t be thinking about the camera. You know you’re doing the camera right when you don’t notice the camera. The Theory of Thirds is essential in video game development because you want your character not to be in the middle of the screen, that would be boring. So, first you take your frame, divide into 3 horizontal lines and 3 vertical lines like a tic tac toe board. The 4 points where the lines intersect are the most dramatic. (Examples of formula to create more drama. Gears of War example). It adds drama whenever you change how the camera performs. Depth of Field is another great tool to use in game design and development. (Source example). The camera focus is really important and needs to be used correctly. It acts as a soft way to lead the player since eyes naturally follow what’s in focus. Studying camera angles goes a long way to direct your audience in how to feel without telling them how to feel. When a camera is far away, it means you want to focus on the environment and it’s a great way to tell the player what to look for. (Mario Bros. example). When the camera is in tight, you focus on the character instead of the environment and when the camera pulls back it creates drama. (Journey example). A little research with camera angles can make a big difference.